Any casino game has an edge. This means that the house (the casino) has a higher chance of winning than you. It’s how the casinos make their money, and it is perfectly normal. In the long term, most players will lose a bit of their money, and the casinos pay their bills by these small margins every game has. Now, it is up to you as a player to push this edge downwards as much as you can. As soon as you have enough experience, you will notice your losses becoming smaller. You will adjust your play and plan ahead – this is called a strategy, or system. In roulette, this is more apparent than in most other casino games. Especially online, where you have no one to help you once the game has started. If you keep placing your money on just one number, hoping to multiply your stakes 35-fold, you could be looking at huge losses within a short period of time. By using different strategies and paying attention to “hot” numbers, as well as different combinations of bets, the house edge becomes gradually smaller, making it more profitable for you as a player. 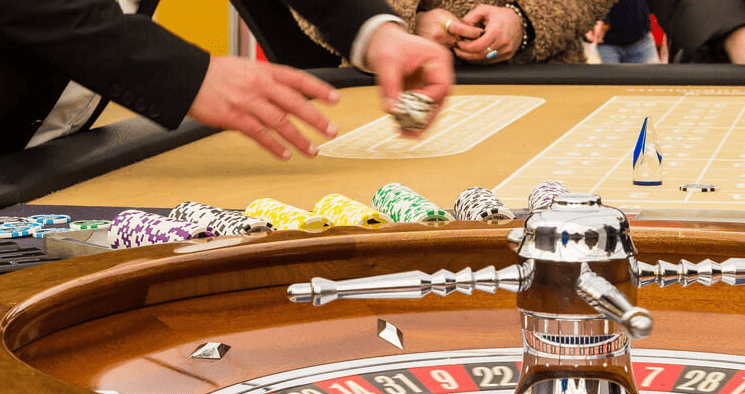 Let’s have a look at a few roulette systems and how to use them. Do note, however, that roulette is a game of chance, which makes it completely impossible to beat the house on a daily basis. 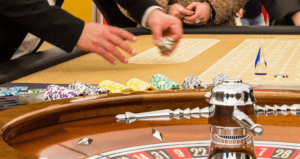 By lowering the house edge using a roulette system, you are only prolonging your play. If you keep cool and always end your play when on top, you could become a winning player. 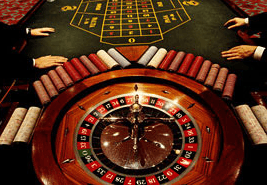 This is the most famous and most widely used roulette system out there – an easy one, as well. It is actually so primitive that any player can understand it straight away, and you could be using this system in any game of luck where some of the combinations pay 1:1, meaning a 50/50 chance of winning. In roulette, it works good as long as you have a huge bankroll. On the other hand, it takes the fun and entertainment out of the game. All you need to do is place your money on either red or black, all the way. Start out by betting f.ex. 1 euro on red. If you lose, double your stake (2 euros) and bet on red again. Another loss? No worries, double your stake again (4 euros now) and place your money on red another time. If you keep doing this, sooner or later red will show up and all your losses will be evened out. In one famous case, however, black showed up 26 times in a row (in Monte Carlo), which bankrupted a bunch of players. See, if you start out with 10 euros and keep doubling the stake 26 times, you end up having to bet millions of euros on the last few rounds. Easy roulette system, for sure, but quite a boring one. As opposed to the Martingale roulette system, the Labouchére one is a progressive strategy, meaning that you need to plan it in advance and stick to the numbers on your little piece of paper no matter what happens. The bets do not increase in size as fast as some other roulette systems, and in the end you could be suffering much smaller losses if it all goes wrong. Quite the complicated one, the Labouchére roulette system, which is why you should read more about it in depth if mathematical calculations is something you are fond of. The third system of the three most famous systems. The D´Alembert roulette system is quite similar to the Martingale, but is a bit more flexible. The main idea is to double up after each loss, and double down after each win. Easy to learn, and easy to implement. This is, in fact, one of the most commonly used roulette systems out there. To make it work, you need to find a European or French roulette table, and bet on the 1:1 combinations. Red or black is the most popular one, of course. Bet 10 euros on red, and double it up to 20 if you lose. Loss again? Double to 40 and place your chips on red again. If you win, it’s time to double down again to 20. It does not really matter which colour you bet on, as long as the odds of winning are fifty/fifty. This one is a bit dangerous, but is quite popular among experienced players looking to make some quick funds. The main goal of the Oscar’s Grind roulette system, is to win 1 pre-set unit. That is it. Once you have won, the game is over and you should, in fact, leave the table. Unfortunately, one of the biggest mistakes most players make is that they continue playing even after suffering big losses. Never chase your losses, and never gamble with more money than you can afford to lose. Oscar’s Grind should also be used when betting on either red or black, but you could give it a go with odd/even bets as well. Bet 10 euros on red, and let the croupier spin the wheel. If you lose, bet 10 euros again on the same outcome. If you win, you should double your stake to 20 euros and bet on the same outcome once more. If you win again, you have made a profit and should now end your session. Simple as that. There are several other systems out there, all meant to help you become a winning roulette player. Tier et Tout, The Hollandish, Parlay – all of these take some time getting used to, and you should do some proper research before you approach a roulette table with them in mind. Your best solution is to buy one of the popular roulette system books out there. Professional players use several different roulette systems during one playing session, being as fluid as possible. With their help, you could be looking into major profits, as long as – again – you keep your cool and set your daily goals in advance.